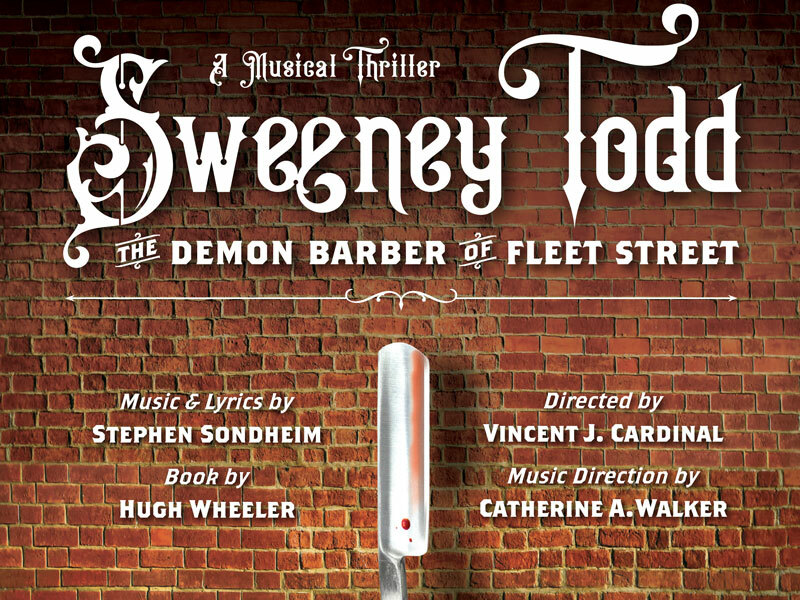 The School of Music, Theatre & Dance (SMTD) is a highly selective professional school encompassing programs in music, dance, theatre, and musical theatre. 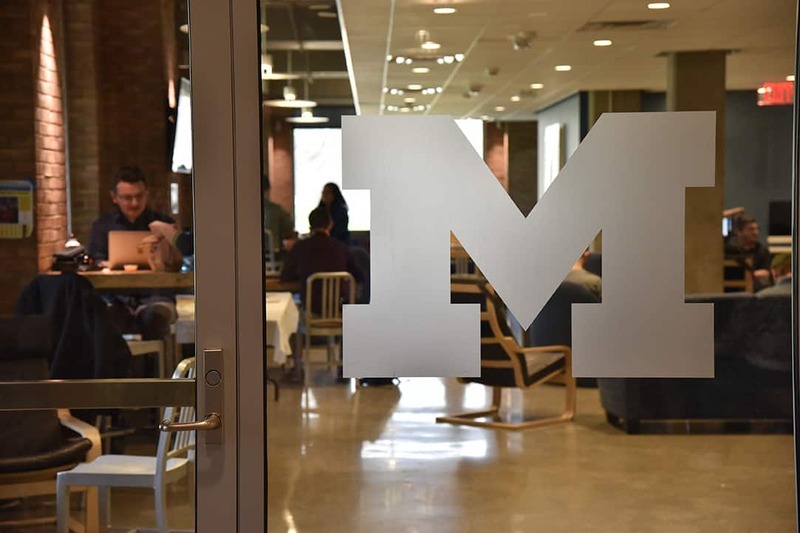 We look forward to talking with you about the range of our programs, our outstanding faculty, and the vast resources and opportunities available through the greater University of Michigan community. Go Blue! 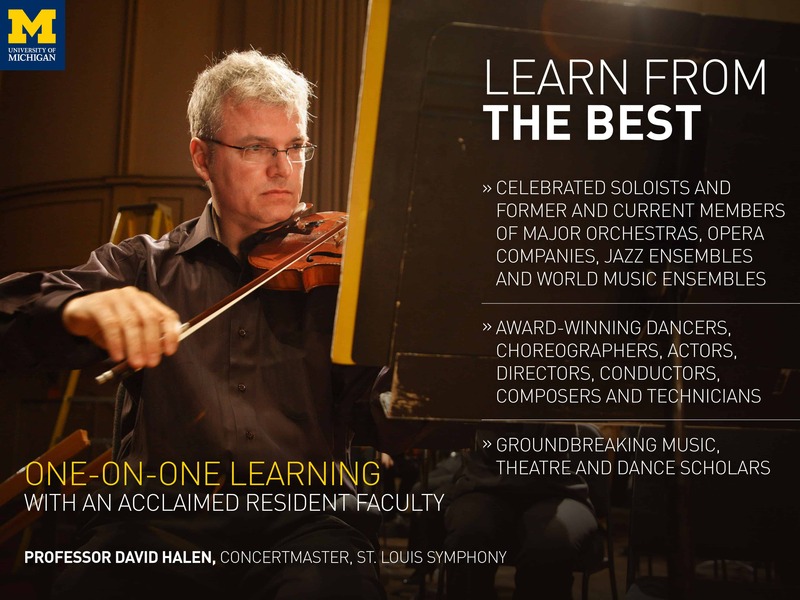 Click here to apply to the School of Music, Theatre & Dance! Our students come from throughout the United States and countries all around the world. Learn what you will need in order to apply here for international admission. If you wish to elect graduate courses to increase your knowledge, improve your professional skills, or to test your capabilities in a graduate setting, but do not wish to pursue a degree, you may apply for admission as a Non-Candidate for Degree (NCFD). Admission requirements are the same as for regular admission. NCFD status carries no implication with respect to subsequent regular admission to any graduate program. This page contains answers to frequently-asked questions. If you do not see the answer to your question here, it may be because the answer is in another section of the admissions page. 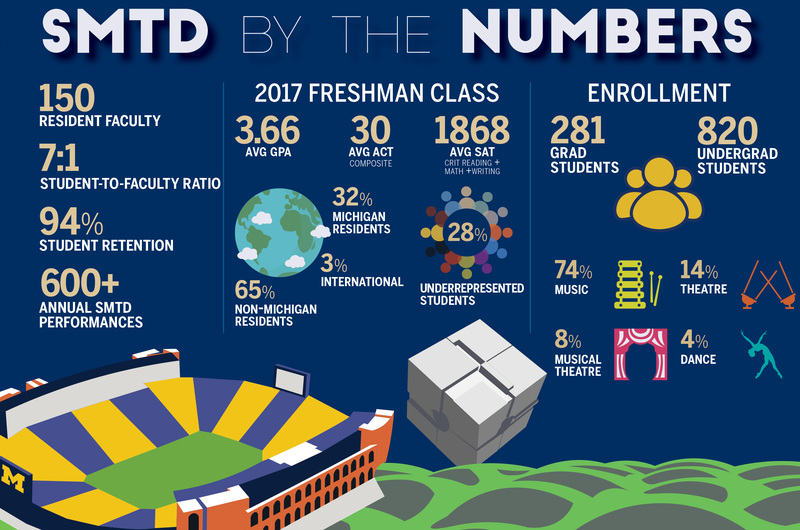 Feel free to email us at smtd.admissions@umich.edu or call (734) 764-0583 for an answer to your query. 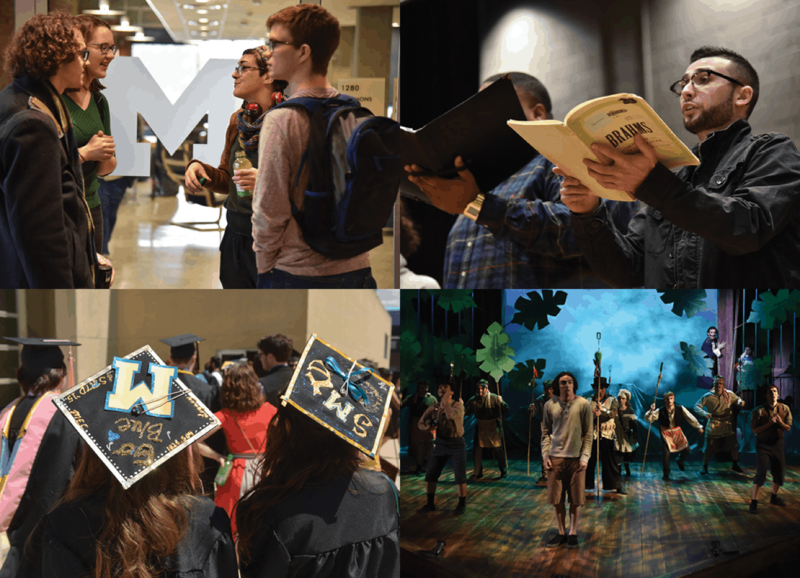 The School of Music, Theatre & Dance is a highly selective professional school encompassing programs in music, dance, theatre, and musical theatre on a beautiful campus set in the culturally rich, quintessential college town of Ann Arbor. Welcome to all new students beginning in Fall 2018! We look forward to working with you during your time at U-M. Classes begin on Tuesday, September 4, 2018. The concert features African Diaspora vocal literature as presented in Louise Toppin's seminar, performed by voice majors with pianist Kathryn Goodson. Evolving from the research of Emeritus Professor Willis Patterson, this offering of music and poetry includes traditional and contemporary spirituals, art songs, and operatic repertoire. The course and concerts are prequels to the George Shirley Vocal Competition, May 17-19, 2019 at SMTD. E.V. Moore Building, 1100 Baits Dr.